It looks like Cupid's arrow is the big trend for Valentine's Day this year. 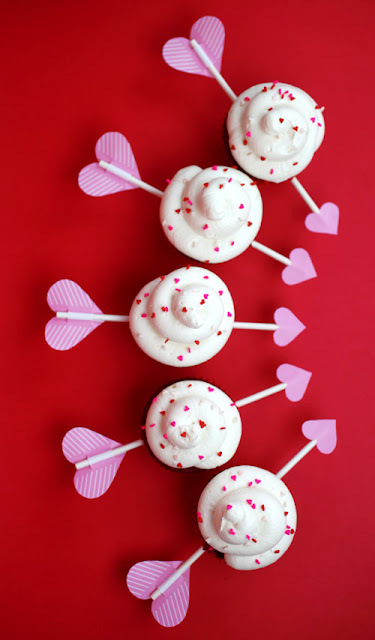 And dressing up your favorite treats with a cute heart shaped arrow, like these Cupid's Arrow Cupcakes, just got even easier. Bakerella created a free Cupid's arrow printable that you can use for any of your Valentine's Day treats. Just add a sucker stick.